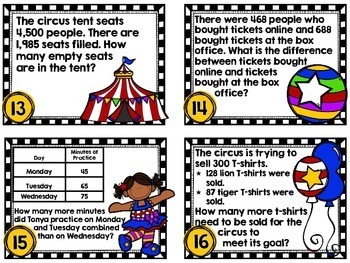 Here are 16 circus themed task cards for your students to practice solving single and multistep word problems requiring addition and subtraction of up to four digit numbers. These fun problems will keep your students engaged as they sharpen their problem solving skills. 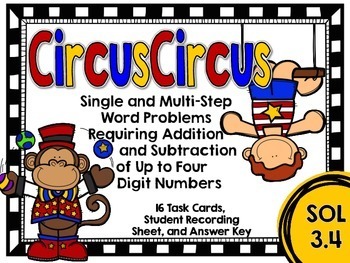 These cards make a great around the room activity or math center. 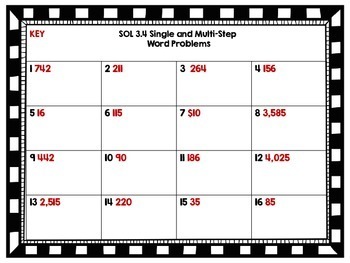 When I use these as a station, I often use cards 1-8 as one station and 9-16 as a separate station.